Don't feel like driving up to the top of Pikes Peak? Then take the cog railway! 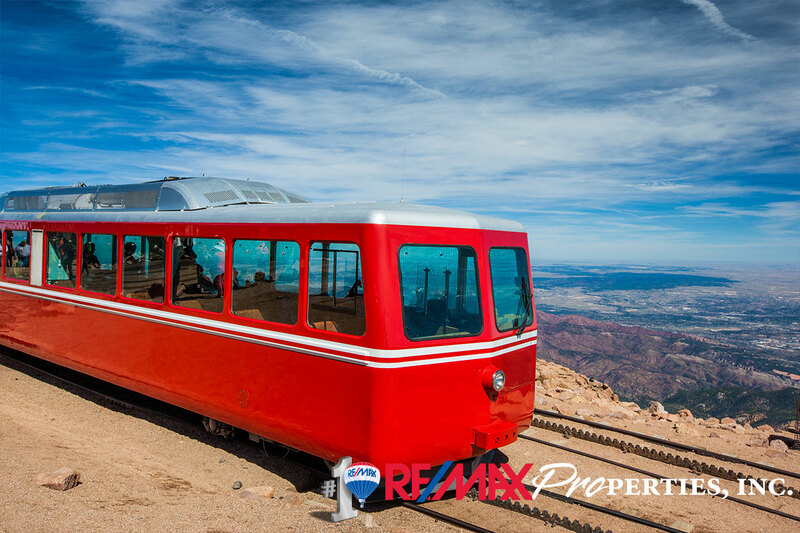 The Manitou and Pike's Peak Railway (also known as the Pikes Peak Cog Railway) is an Abt rack system cog railway in Colorado, USA, climbing the well-known mountain Pikes Peak. The base station is in Manitou Springs, Colorado near Colorado Springs.The railway is the highest in North America by a considerable margin. It was built and is operated solely for the tourist trade.